One of the most amazing things about engaging with God is that He is far more accessible than we might imagine, and talking with Him is far less dramatic or sensational than many have been led to believe. Hearing God does not require any special spiritual gift or laying on of hands. It is the birthright of every believer. May you be richly blessed as you grow in your relationship with God and in your conversations with Him. 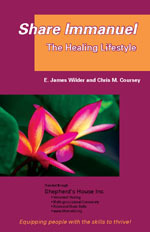 This CD is a companion to the Share Immanuel: The Healing Lifestyle booklet. "Immanuel, An Especially Pernicious Blockage, and the Normal Belief Memory System"
This is a fairly techinical document that describes some of the more serious blocks to hearing God and how they can be addressed. This document is available on Karl Lehman's website. After registering with his website, please search for the document with this title (30 pages). There are a number of downloads on the Life Model website that are particularly applicable to this issue of hearing God. We hope you find them helpful. Please note that these links may take you to another part of our website. Simply use your Back button to return here. This brief document describes a model for conversational prayer that has helped many people to hear God and develop a conversational prayer life. This is the basic model that is expanded in the book, Whispers of my Abba. An outline of the ancient process of allowing the Spirit of God to reveal the Scriptures to us and apply them to our life. This is a list of verses demonstrating that God speaks today and that he wants us to be able to hear his voice. Can Christians Use Their Imagination to See God? There is a lot of confusion today about whether it is alright for Christians to use their imagination as part of their prayer life. In this short article, the author makes a strong case for the holy use of our imagination. This is an early version of Share Immanuel booklet by Wilder and Coursey. 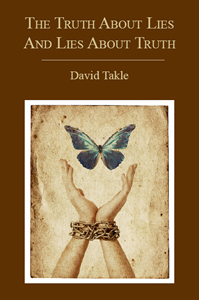 It provides an excellent summary of Immanuel Healing. This is a great visual aid to the Immanuel healing process, showing the three chairs and how we can best interact with God for healing. Coming later in 2011, we will begin posting video recordings of real-time conversations with God. It is our hope that by watching someone else engage with God and listen to the promptings of the Spirit, you will be encouraged to try engaging with God for yourself. Please check back periodically to see when these recordings are available.